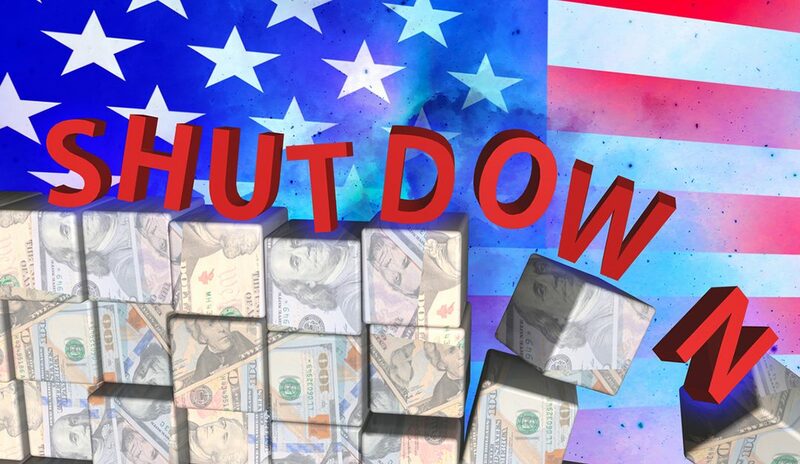 (TNS)—As the government shutdown grinds into its third week, more than 800,000 federal employees and 4.1 million federal contractors are caught in the crosshairs. Federal workers will go without paychecks beginning January 11. Some of these unpaid employees are nervous about their finances, particularly being able to make their monthly rent or mortgage payment on time. That’s not surprising considering a recent Bankrate.com survey found that 23 percent of Americans have no emergency savings in the bank. Before we cover what specific lenders are doing for these federal employees, here’s some advice for anyone who is having trouble paying their basic bills. Talk to your landlord or lender ASAP. Don’t wait until you’re behind on payments. Lenders may work with you to waive late fees, set up a repayment plan or offer loan forbearance. The key is to explain the situation, says Jeff Cronrod, a founder and board member of the American Apartment Owners Association, one of the nation’s largest residential landlord associations in the U.S. representing 100,000 property owners. Cut all unnecessary spending and talk to your creditors. Account for every dollar going out. Look at canceling subscription services, recurring home maintenance services and vacation travel—at least until the shutdown (or your own cash crunch) is over. Learn about other ways to cut back on spending and how to create a budget. Additionally, monitor account balances and, if necessary, pay only the minimum on credit balances until your income is restored, says Mark Hamrick, Bankrate.com senior economic analyst. The Office of Personnel Management posted sample letters on its website that impacted employees can use to ask creditors for leniency on bill deadlines. You’ll still owe the money, but it might not be owed immediately—and that can improve near-term cash flow to pay for immediate basic needs, such as rent or mortgage, Hamrick adds. Explore short-term, low-interest direct deposit loans. Some institutions are offering “furlough” loans for clients who have their paychecks deposited directly into a checking or savings account. These loans don’t require credit checks and are often for a limited amount at a low interest rate. Contact your bank or credit union directly to inquire whether this is an option. Tap an open home equity line of credit, or HELOC. If you already have a HELOC and are still in the draw period, you could pull out cash from your available line to make your mortgage payment. The average interest rate for a HELOC is 6.52 percent and 5.88 percent for a home equity loan, according to Bankrate.com data. That’s much lower than the average interest rate on credit cards, at 17 percent or more. Be cautious about using credit cards or borrowing from retirement and 401(k) accounts. If you’ve exhausted all other options, paying for your rent, mortgage or other bills with a credit card can get you by if it’s an accepted form of payment; however, you don’t want to rely too heavily on credit cards because you’ll pay much higher interest rates than other forms of borrowing, making credit cards harder to pay off as interest piles on. You may need to turn to your long-term savings and investments for emergency cash; however, you should do so with extreme care. Roth IRA holders may withdraw their own contributions—not earnings—without tax or penalty, but traditional IRA holders will pay income taxes and a 10 percent penalty on the taxable amount if you’re under age 59. The IRS reports that 401(k) holders can borrow up to half of their account balance (a maximum of $50,000) tax-free, but funds must be repaid within five years in most cases. The catch is that you have to stay with your current employer for the duration. If you lose your job, you’ll have 30-60 days to repay the loan or face penalties. Since these options can severely disrupt your retirement plans, consider them as a last resort. Before pulling funds from any long-term investment, read the fine print and consult your tax adviser. Fed Choice Federal Credit Union lists several relief options for mortgage and banking clients online, including short-term, low-interest furlough loans and mortgage refinancing options. Visit the credit union’s website for more information. USAA is offering a low-interest, direct deposit loan to members who are active duty Coast Guard and National Oceanic Atmospheric Administration, or NOAA, employees only. Call (800) 531-8722 for assistance. Navy Federal Credit Union is offering a zero-percent APR loan up to $6,000 during the government shutdown. The assistance is open to federal government employees and active duty members of the Coast Guard whose pay has been disrupted by the shutdown, and have an established direct deposit account. You can register on Navy Federal’s website, in branches or by phone at (888) 842-6328. Members impacted by the shutdown who don’t meet the eligibility requirements should visit a branch or call to discuss their situation. S. Bank says it will assist customers who may be eligible for mortgage relief programs, including loan forbearance and deferred first payment dates for new mortgages. Payment plans may also be available for those who qualify, says spokeswoman Cheryl Leamon. For more information, call the U.S. Bank mortgage customer service line at (800) 365-7772. Wells Fargo is offering forbearance or other payment assistance programs to its mortgage clients on a case-by-case basis. Call (888) 818-9147 or visit Wells Fargo’s website for more details. If your loan servicer isn’t on this list, call your lender directly to find out what assistance options are available. Your current loan servicer may not be the lender that closed your loan; home loans are often resold on the secondary mortgage market to other companies after closing. Check your most recent mortgage statement to find the name and contact information of your loan servicer.